Save 20% off whatever you buy this week at Worship Backing Band. Use the coupon code BLACKFRIDAY17 to grab a blanket 20% off anything. 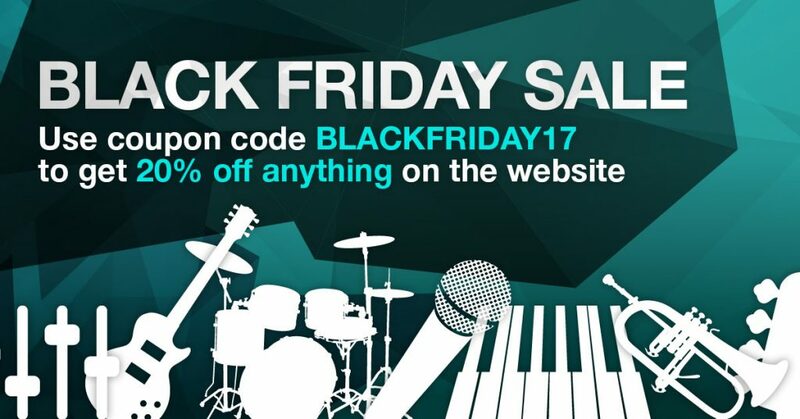 And of course that is 20% off on top of the usual bundle pack discounts for MultiTracks, Chord Charts, DVDs and Split Tracks. Remember we have a large selection of Christmas carols too so get buying now for pre-Christmas savings! Over at Musicademy you’ll find guaranteed savings of at least 50% off ALL DVD courses and box sets. Some are even 80% off! PLUS if you’d prefer to download courses rather than buy DVDs use the coupon code BLACKFRIDAY17 to get an extra 25% off the price of any download. We always give 25% off automatically at the checkout when you buy a full course in a single transaction but if you use the coupon this week you will get an ADDITIONAL 25% off too. Click here to go to the Musicademy website, browse through the product options to see the sale prices. As an extra bonus when you buy more than one DVD set you’ll get offered other DVDs at even cheaper prices! So buy DVD and you’ll see the options for other DVDs with even greater savings! Previous Previous post: The Worship Backing Band iPad MultiTrack Player is here!